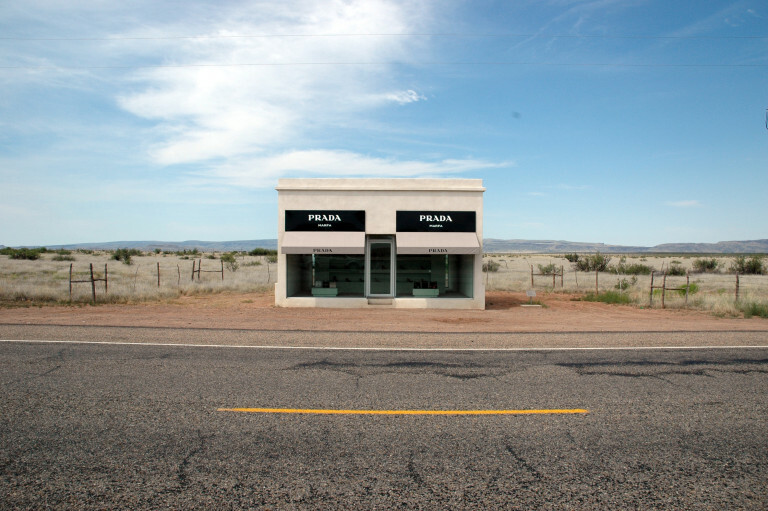 Prada Marfa is a scultpural land art installation by artists Michael Elmgreen and Ingar Dragset. Exhibition view of “An Introduction”. Fondazione Prada, Milano, 2015. Fondazione Prada was instituted in 1993 by Mrs Prada and Mr Bertelli out of a personal interest and passion. They were personally very highly interested in culture in general, but as Mrs Prada always points out, for many years it was literature, theatre, cinema, dance, politics, philosophy, and art came to them as an addition. Later on, they started to become friends with artists, they started to collect, they started to understand that they liked this form of expression. Their artist friends asked them why they didn’t use the warehouse spaces which Prada had then renovated to do fashion shows etc. They said, if they are empty, put art inside and they’ll look great. So, out of this really spontaneous idea, they said, “okay, let’s try it”. This was 1993 and they did the exhibitions in a temporary space, never coinciding with fashion week or anything like that, but always separate. It became a separate field of interest for them. The Fondazione has always been operating totally separately from the fashion brand. They started working with Germano Celant in 1995 after a number of other curators, but then Germano Celant became the Artistic Director of the programming. A team of architects, curators and art historians joined in since 1997. 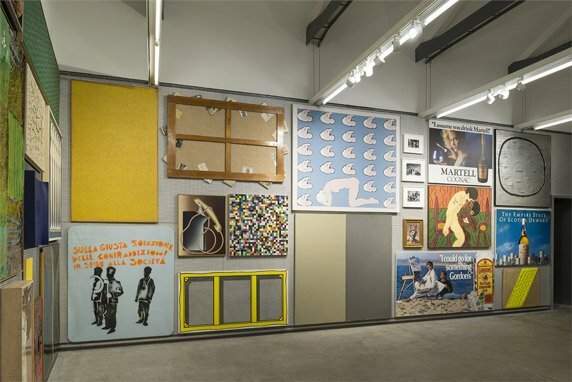 It has developed very intensely and really independently from an idea of how to capitalise or to benefit, which never existed on the agenda of Fondazione Prada. 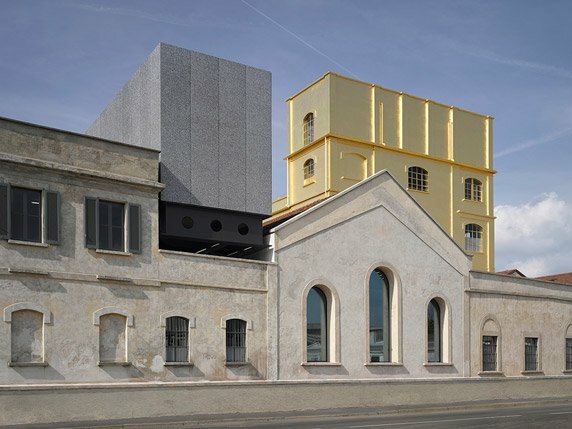 Fondazione Prada moved on to organising, in all of those first years, solo shows with interesting artists, like Louise Bourgeois, Walter De Maria, Michael Heizer, etc. Grew up in the 68’ social movements, Mrs Prada always says that she wants to change the world. Through the Fondazione, she shows a very interesting possible mixture between what to do if you have economic power and intellectual desire to do something for society. Astrid Welter, Head of Programs of the Fondazione, speaks to us on the Fondazione’s engagement in art. The Fondazione has an interdisciplinary approach to both art and culture, as Mrs. Prada and Mr. Bertelli are very passionate themselves about these different cultural genres. 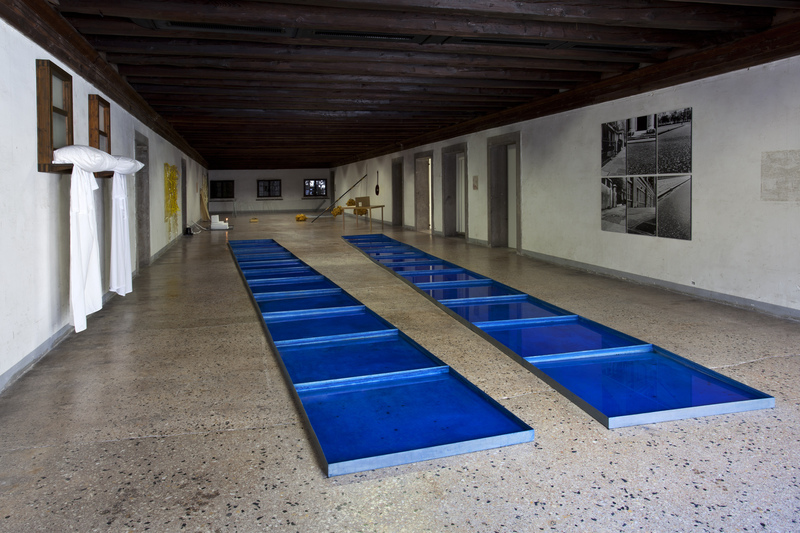 Nevertheless, is contemporary art taking the lead in Fondazione’s program? Yes, contemporary art has become the main part of the program and then, from 2002/03, an interest in architecture, cinema and philosophy was added. We want to underline that we want to do all of these things, which have been part of our history. Art is the main instrument we have and the 10 new spaces of different typologies, etc., will allow us to pursue this. But we have also added all of the other fields of research because our main interest is in ideas, which are then transformed by human beings into science, literature, film, philosophy, music or cinema. This is something that we would like to underline, while still doing a lot of art – although it is not exclusively contemporary art – as you can see here. So, this gives you a bit of an insight into the ideas that we have about the past and the future. Do you think that the brand’s fame and the reputation will help to draw people to Milan and bring international people here? Well, that’s a tricky question. When Attitude Becomes Form was a wonderful exhibition and one of our biggest achievements so far. We have done 22 years of really good projects. The main reason why people come here from all over the world since we opened in Venice is because they are interested in cultural institutions and the fact that it’s called Prada. So maybe buses of people will come here who think they can buy something from Prada, but the main attraction in Venice was that we had built up quite a reputation by then. It might well be that people come because it’s a Rem Koolhaas project or because it’s called Prada. This is good because they will get an idea of the multifaceted and interesting way that Mrs Prada’s mind works. I’ve been working here in Milan and there has been a good audience coming to our exhibitions. We have done really fantastic shows and the people who come are not all wearing Prada. I think they come because of the high quality of what we are doing and they are interested in it. They also know about all of these shows as we always get great press. For the When Attitude Becomes Form exhibition, we had 50,000 visitors in Venice and many of them were telling us they would come back to visit the Fondazione in Milan. So I am very idealistic and also very much in love with Fondazione Prada as a cultural project. I am confident that it will have an audience in its own right, and become an attraction because it is now a destination for people interested in culture. It could be that those people who are interested in Prada, but not in a superficial way, are also very interested in culture. 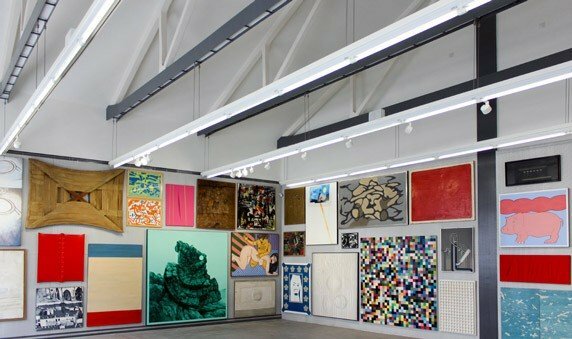 Are some of the projects that Prada is involved in, such as the Francesco Vezzoli 24-hour museum in Paris and Elmgreen and Dragset’s Prada Marfa, the foundation’s or the fashion house’s projects? Elmgreen and Dragset got the green light from Mrs Prada for the Prada Marfa project because she knows them and appreciates them as artists. It was not a case of the Marketing Department saying, “We should do that,” it was because they are all really interesting artists and there was a kind of collaboration with them in order to make it possible. This was sustained for a really interesting artistic project, which we still cherish a lot, but are not involved with. There was a direct link with the Prada design, but it’s not a Fondazione project. The 24-hour Museum of Francesco was a project that belonged to the Fondazione and is linked to the Palais d’Iéna in Paris. There is an agreement with the ministry, the owner of this Palais, so there are the Mui Mui fashion shows, as well as a wish to do a number of cultural initiatives. So the 24-hour museum was one, but then we did another great project last year about Auguste Perret, the architect of the Palais d’Iéna. There might be others in future and a loose possibility of doing some things in the Palais in Paris. Other projects that we should also mention are the Double Club by Carsten Höller, the German artist, in London. 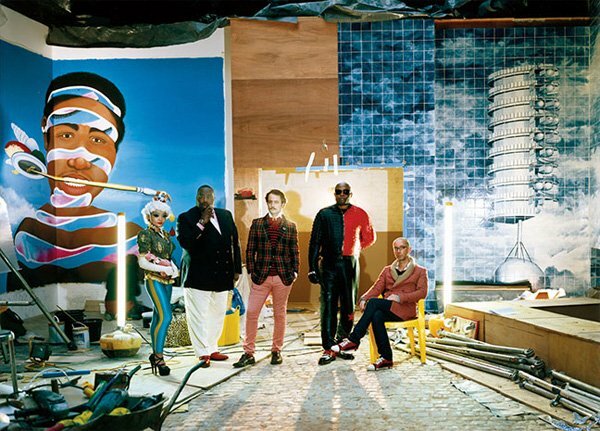 We had this Western/Congolese nightclub, bar and restaurant conceived by Carsten and run by Fondazione Prada for nine months between 2008-2009. It was a very challenging place because many Congolese bands played there. A lot of Congolese and other African people came, as well as western people. In the restaurant, there was both a Western menu and a Congolese menu. For a project like this, is Prada a financial sponsor? No, it is an artistic collaboration. We have never done sponsorship for something. If an artist does a project with us, then we develop it, so it is curated and researched, but you couldn’t define any of this as being sponsorship. All of these projects were done in dialogue with the artists concerned, and they occurred because we had invited the artist to take part, or an artist had proposed the project to us, and we’d then taken it up. But it is always as if we are a museum. We oversee and produce the works with the artists. This is very important to us. The Fondazione has been working this way for 22 years, and I think it was very visionary to set up it like this. It was a very small structure at the beginning and then they worked with David Smith in 1995. There was a really small team at that time and they asked the Spanish curator, Carmen Giménez, to curate the show. So we get the curator, do the bookings, do the research and then get the loans. The exhibition, called An Introduction, features the Prada collection for the first time. Is it a collection of the Fondazione or the personal collection of Mrs Prada and Mr Bertelli? No, this is the Collection Prada. Mrs Prada and Mr Bertelli have been collecting art since the late 80s, but the Fondazione Prada has not done any cultural work with the collection so far. It has nothing to do with the Fondazione Prada’s activities. An Introduction is literally an introduction to a number of themes of the collection and we wanted to use it here in this new space as an instrument. We think the collection is really interesting. It covers all major artistic trends from the 50s until now. We very much hope that we can work with Nicholas Cullinan on this project. He looked at the exhibition of Serial Classic and said, “Do you know that there is very interesting figurative art content, which is linked to the fragmented body?” and that became an exhibition. So the thematic narrative of that exhibition came from the possibility of taking a number of incredible, relevant works for that theme from the collection, which goes from Fontana to Baldessari, and Vezzoli to Pascali, etc. Cullinan added some additional pieces to complete the narrative and this is something that we’d like to do. An Introduction is a tour that just shows a number of artists we are interested in and it’s saying, we have a number of interesting relevant subjects in the collection. The collection might well be used in the future for thematic analysis of Italian art in the 50s and 60s, or for other themes. So it is just saying, we see a meaning in what has been collected and there will be future projects with some of these themes. For instance, with Kienholz, we own the Five Car Stud. This is a great installation that was not on view for 30 years and then was shown at the LACMA in Louisiana. We own this piece, so we will do a project with it. Another project is the Triptych in the Cisterna, which was curated collectively by the Thought Council. They are like the Fondazione’s advisory body. This is the first triptych they have presented. It is three sculptures. They looked at the collection and wanted to establish quite a surprising reference between the cube of Eva Hesse, post-minimalism, Damien Hirst taking up the minimalist cube in his cabinets or vitrines, Pascalli and this cube of metre, this 1X1X1, the square of earth. So, this is also a display experiment that comes from the collection. It gives people the possibilities and opportunities to interpret it themselves or to find new stories within it. This interests us more than just creating a permanent display of the collection’s highlights. What is the personal involvement of Mrs Prada and Mr Bertelli in the Fondazione? It is a strong commitment. Mrs Prada and Mr Bertelli both perceive themselves as being very active presidents of the Fondazione Prada. Mrs Prada wrote the introduction to the catalogue of When Attitude Becomes Form herself. It was not written by somebody else and then signed by Mrs Prada, so she has dedicated a lot of her time to the dialogue and to the intellectual research. There has been a continuous dialogue between her and OMA, with Rem Koolhaas. She is one of these influential forces in this field that continues to shape what the Fondazione Prada is doing. She studies deeply and gets very deep into the meaning of the Serial Classics. She participated in all of the main meetings that we had with Salvatore Settis and Rem Koolhaas. These are all moments when Mrs Prada is personally there and listens and gives advice. She wants to read and understand the contributors’ essays to a catalogue as soon as they come in, long before we publish them. She also read all of the essays in the book about Multiples because she was interested in the theme and wanted to enrich her knowledge further, so that she could understand what the outcome was. So she doesn’t just say this is a nice subject, please go and do something. She really wants to learn from it. Actually, both Mrs Prada and Mr Bertelli have defined the Fondazione Prada. Their collecting activity is a learning process. They are both eager readers and are always reading catalogue, books or essays about art. So Mrs Prada has a strong personal commitment and dedication to this, on top of her work as a designer and her desire to learn more and give other people the opportunity to follow this process. This is the biggest gratification for her and I think this is something that describes her very well.